My City, My Home, My Top Shops in Delhi!! A fortnight in the city, meeting family and friends, being thoroughly pampered at home, catching up with girlfriends in between spa appointments and shopping at my favorite hotspots – I’m totally revived. That’s what coming home does for me! Delhi is one of my all time favorite shopping destinations in India. Known for its stunning jewelry, rare craftsmanship of silver, exquisite Indian wear, fabulous artwork and funky artifacts, this city is beaming with traditionalistic modernism. In addition, thanks to the recently held 2010 Common Wealth games, the city has also never looked better! With malls and freewayssprouting up everywhere, the city now has an international flavor to it. These past few days, I did an initial round of retail therapy at my most favored hot spots in the city. Here is a sneak peak of my list. White – Delhi`s coolest multi designer fashion store, started by entrepreneur Shaan Thadani is stocked with silk dresses, ruffled tops, tunics by India`s leading designers such as Rajesh Pratap Singh, Gaurav Gupta, Sunaina Puri, Prashant Verma, Gauri and Nainika, Nachiket Barve and Namrata Joshipura. This store is definitely worth a visit. 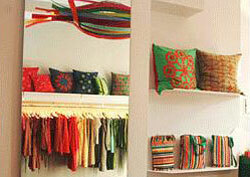 Ozel – Another great store tucked away in Delhi`s most famed GK-1 M Block market is London based Ozel. This multi designer store carries an impressive collection of vintage inspired Mawi jewelry, embellished Mary Frances purses, Marchesa dresses and its own signature brand Ozel clothing. This is a store where high street fashion blends with haute couture. 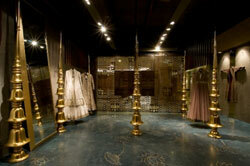 Aza – One of my favorite one stop-shops for Indian couture wear is the uber luxe Aza store. Their second flagship store at South Extension is a shopper`s delight. Aza is home to India’s best design czars such as Anamika Khanna, Manish Malhotra, Rohit Bal, Sabyasachi Mukherji, Suneet Varma and Varun Bahl, to name a few. 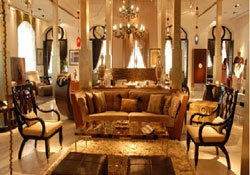 The boutique offers a wide range of couture, diffusion and prêt collections along with an emphasis on “Occasion-Wear”. Amrapali – Hollywood`s best kept jewelry secret Amrapali jewels has been around for a while now although you may seen their eye catching jewels on the silver screen. Everyone in Hollywood from Nicole Kidman to Halle Berry to Sandra Bullock to Anne Hathaway has adorned their jeweled pieces either for a shoot or on the red carpet. There’s something for everyone in Amrapali from gold hammered cuffs, to filigree earrings to gigantic cocktail rings to drool worthy necklaces. An absolute must go. 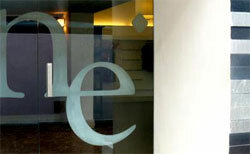 DLF Emporio – Undoubtedly India`s finest luxury mall is here in Delhi. This is “the mall” to shop in India currently. Emporio boasts more than 80 specialty retailers including top Indian and international brands such Armani, HarryWinston, Chopard, Louis Vuitton and Bottega Veneta. The crème de la crème of all Indian designers prevail here, Abu Jani, Adarsh Gill, JJ Valaya, Suneet Varma, Surekha Jain, Tarun Tahiliani, you name them and they are here. Infact each store by itself is so beautifully architected that you don’t mind spending a few moments just admiring the store, before you actually hit the shelves. Viya Home – This is my favorite place to browse through for home décor stuff in Delhi. 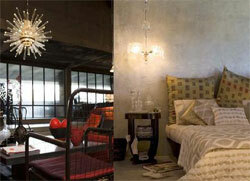 The store has an amazing collection of in-house designed sculptures, accessories and furniture. The underlying theme behind every collection represents a modern Indian aesthetic. Me looovvve!!! With summer approaching, travel season is just around the corner. When I come to know that I’ll be traveling to some place in the near future, I start mentally packing by trying to mix and match outfits in my closet as much as possible. But my mind goes completely dead when comes to stylish yet comfy travel wear. I mean this should be no brainer for me, considering that I write for a fashion blog on a regular basis, right? But with airports being so stuffy, planes always being so cold, blankets being rationed and shoe removal required at all times...planning the perfect travel outfit can be as much of a daunting task as managing to coordinate all your connecting flights!! So here goes my attempt of finding an easy travel style. I got a few cues from the celebrity jet setter guide to a stylish yet comfortable flight experience. Comfy flats – A must have for those long walks to the boarding gate and they come off easily at all the security check points. Cashmere Wrap – In flight blanket? No thank you! This half blanket, half outfit maker is perfect for those freezing temperatures on flight. I always carry my pashmina in my bag. A soft carry on – Pack a super soft carry on with all your in-flight necessities for a smooth in-flight experience; important documents, gadgets, and personal needs like makeup and moisturizer. Plus with all these items you super soft carry all can also double as a soft pillow just in case the cabin crew runs out of pillows, you have a solution. Oversize sunglasses are a must as they seldom reveal a sign of jet lag or puffy eyes. Layered clothing – Master the art of easy layered clothing! Start with a comfy long sleeved t-shirt with jeans or khaki pants, add a light weight sweater, top it off with a light jacket or a trench coat and you are good to go. Also bringing a pair of yoga pants and socks in your carry on is a great idea if it is a long overnight flight. Most important… be organized – in style of course! Always color tag your checked in luggage so it’s super easy to identify them at baggage claim. Have all your important documents in a holder, so that you can breeze through customs. This check list might help you looking stylish while you make your journey to your destination. Style – Checked in! !